Today was – maybe for the first time in a while – a rather quiet day regarding visits, excursions and exploration. 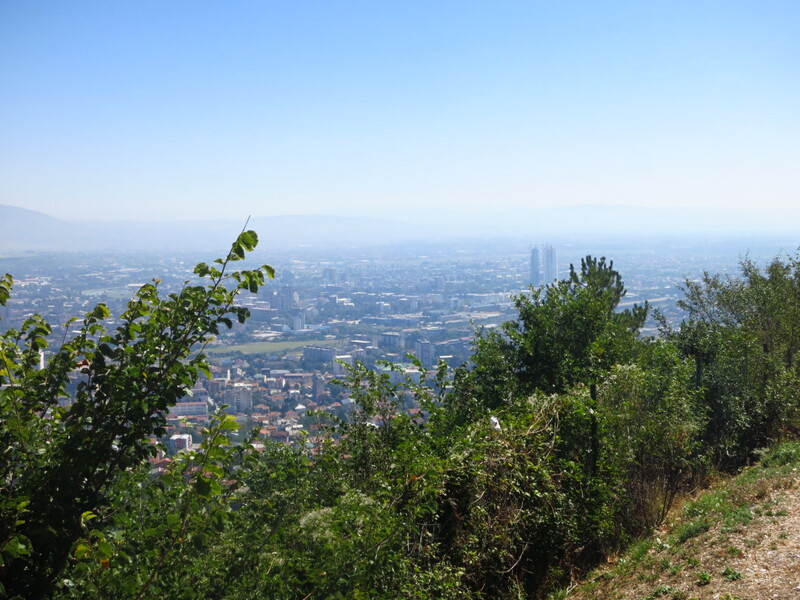 We rode up the hills on the south of Skopje before leaving the city to see the sights from the Millennium cross, a huge 66-metre high cross built to commemorate 2,000 years of Christianity. To our disappointment, the cross could only be reached by cable car, not by road, but there was a good viewpoint from the car park where the road ended and we had a beautiful view of the city that added one more item to the list of places my impressions of Skopje drank from – Barcelona seen from the hills of Collserola. We left the city via the motorway and on the dashboard I saw something I had not seen in quite a while – 6th gear! We covered quite a lot of (boring) distance before running out of motorway, which by the way was not in great condition for what it cost us in tolls. The motorway ended in Kumanovo and from there a regular road, culminating in a really nice stretch of long sweeping corners up a hill, took us to the border with Bulgaria. Once on the other side we still had quite a way to go before our chosen destination – Blagoevgrad, a small city located between the natural parks of Rila and Pirin. At first this was only a one-stop place before we could find information about the area and decide where to go next, but the hotel turned out to be really nice and cheap, and we saw that the trek we wanted to do the following day was only about an hour away, so we decided to stay a couple of nights. 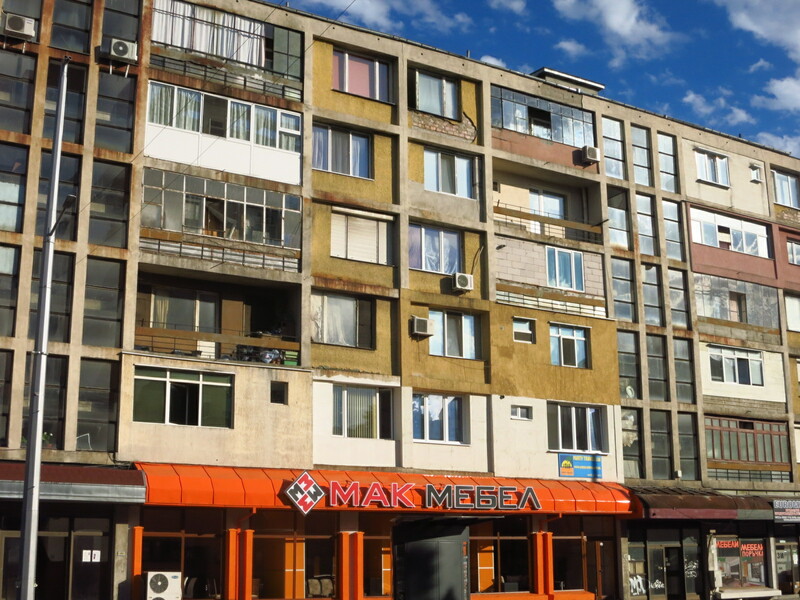 In the afternoon we went to visit the city and get some provisions for the trek, and Nat got another good dose of working-class Eastern European neighbourhoods. This entry was posted in Balkan Adventure 2016, Travel and tagged Blagoevgrad, Border crossing, Bulgaria, Honda CRF 1000L, Macedonia, Pirin natural park, Rila natural park, Skopje by Kilian. Bookmark the permalink.